The short form of the operational amplifier is op-amp, is a one kind of solid state IC. The first operational amplifier is designed by Fairchild Semiconductors in the year 1963. It is the basic building block of analog electronic circuits that accomplish a different types of analog signal processing tasks.These ICs uses an exterior feedback to regulate its functions and these components are used as a multipurpose device in various electronic instruments. It consists of two inputs an two outputs, namely inverting and non inverting terminals.this 741 IC is most commonly used in various electrical and electronic circuits. The main intention of this 741 op amp is to strengthen AC & DC signals and for mathematical operations. The applications of operational amplifier mainly involve in filters, comparators, pulse generators, oscillators, etc. The IC 741 operational amplifier looks like a small chip. The representation of 741 IC op-amp is given below that comprises of eight pins. The most significant pins are 2,3 and 6, where pin2 and 3 are pin 2 and 3 denote inverting & non-inverting terminals and pin6 denotes output voltage. 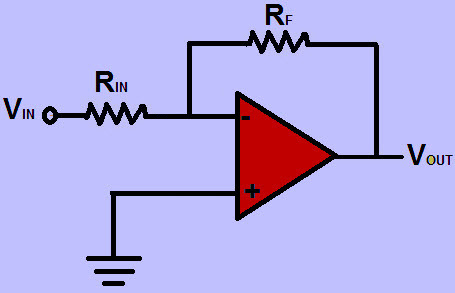 The triangular form in the IC signifies an op-amp integrated circuit.The current version of the chip is denoted by the famous IC 741 op amp. 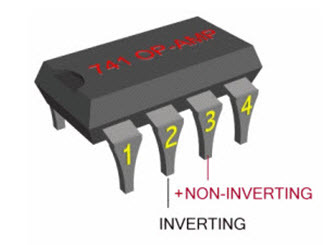 The main function of this IC 741 is to do mathematical operations in various circuits. IC 741 op amp is made from various stages of transistor which commonly have three stages like differential i/p, a push-pull o/p and an intermediate gain stage. The differential op-amps comprises of a set of FETs or BJTs. 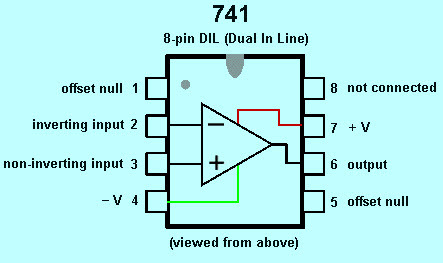 The pin configuration of the IC 741 operational amplifier is shown below. It comprises of eight pins where the function of each pin is discussed below. Pin-2 is Inverting (-) i/p terminal. Pin-3 is a non-inverting (+) i/p terminal. Pin-6 is the o/p voltage. In an IC 741 op amp, pin2 and pin6 are the input and output pins. When the voltage is given to the pin-2 then we can get the output from the pin-6. If the polarity of the i/p pin-2 is +Ve, then the polarity which comes from the o/p pin6 is-Ve. So the o/p is always opposite to the i/p. In an IC 741 op amp pin3 and pin6 are input and output pins. When the voltage is given to the pin3 then we can get the output from the pin-6. If the polarity is +Ve at the input pin-3, then the polarity which comes from the o/p pin-6 is also+Ve. So the o/p is not opposite. The IC 741 Op Amp applications mainly includes an adder, comparator, subtractor, voltage follower, Integrator and differentiator.The circuit diagram of IC 741 op amp is given below. 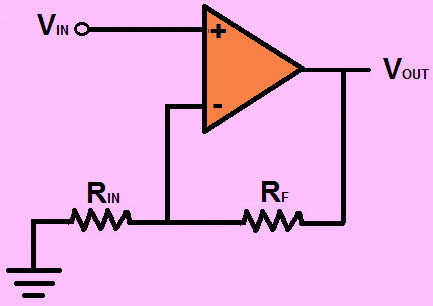 In the following circuit, IC 741 operational amplifier is used as a comparator. Even if we used as a comparator the IC still observes the weak signals so that they can be identified more simply. The Input impedance of the IC 741 op amp is above 100kilo-ohms. The o/p of the 741 IC op amp is below 100 ohms. The frequency range of amplifier signals for IC 741 op amp is from 0Hz- 1MHz. The voltage gain of the IC 741 op amp is about 2,00,000. 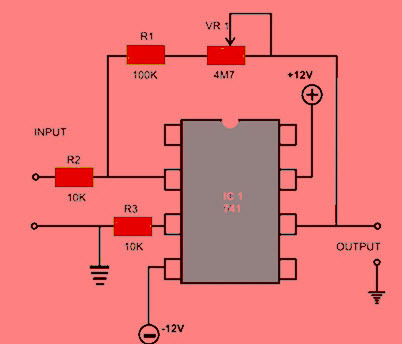 There are many electronic circuits are built with IC 741 op amp namely Voltage follower, analog to digital converter, sample and hold circuit, voltage to current and current to voltage converting, summing amplifier, etc. The applications of the IC 741 operational amplifier include the following. This is all about IC 741 Op Amp tutorial which includes op amp basics, pin diagram, circuit diagram, specifications, characteristics & its applications. Furthermore, any queries regarding this concept or 741 op amp projects, please give your feedback by commenting in the comment section below. Here is a question for you. What is the function of IC 741 op amp? 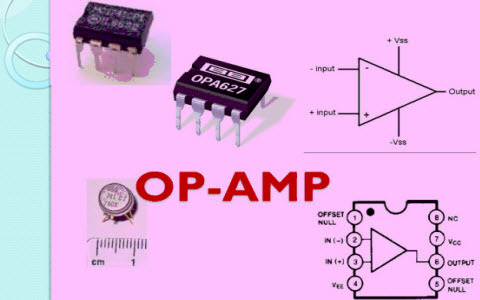 OP amp 741 can be used differential amplifier or not?